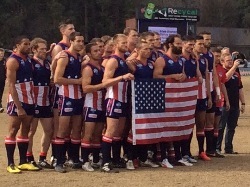 Second game of the day at the picturesque Montrose Recreation Reserve, in the foothills of the Dandenongs, was the international between the USA Revolution and the NZ Hawks. 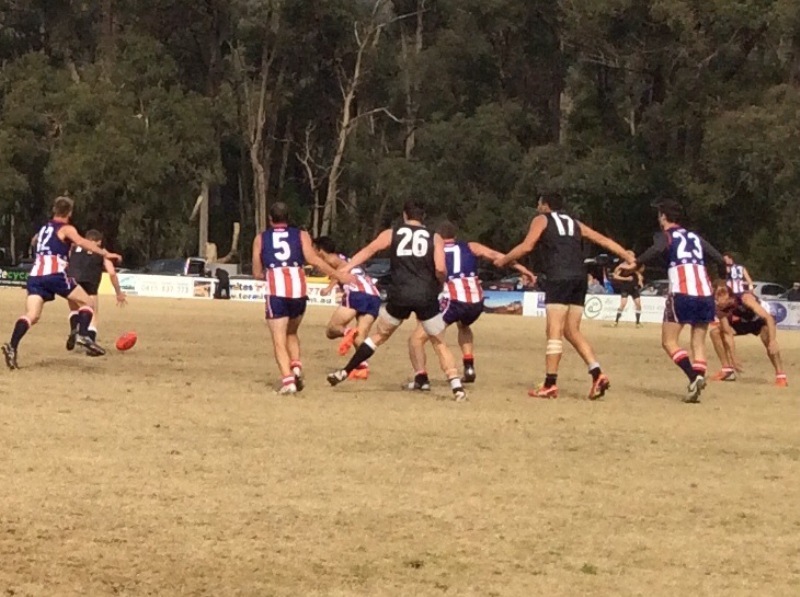 This game was sandwiched between the Reserves and Seniors for the Eastern Football League's (EFL) Montrose and Blackburn Football Clubs. With the oval ringed both by trees and cars it was a great venue for the two nations. Quietly having a chat with members of the crowd I discovered that a lot of promotion had gone into the game with members of both clubs, and indeed with the wider EFL community. The program had both the cover and centre spread all about this game. This is in a League encompassing many thousands of footballers! A local from Montrose said that they were supporting the USA as they were their 'home' club whilst the Hawks were supported by Blackburn. Quietly nursing his can of VB he whispered "I know I'm supposed to be supporting the US but I just can't do it, the Kiwis are our mates and as an ex- digger it just isn't right!". Treasonous thoughts right there but certainly understandable! As a former coach of NZ and AFLNZ Board Member I too wished for a wonderful game but without a doubt I was with the feller from Montrose. Watching the game objectively was a challenge and I don't know how James Brayshaw and Eddie McGuire do it on a weekly basis commentating on games when they are Presidents of AFL Clubs North Melbourne and Collingwood respectively Maybe they aren't too objective either!!!! Having had the opportunity to watch the development of these two teams over the five International Cups I think the thing that struck me most was that physically both squads generally had physiques that matched what you would see in local and AFL footy. Previously both teams had brought across players who were either muscle bound hulks or string bean 200cm types. Both teams this time around were generally made up of fit, wiry, hard running machines. With a crowd of at least 1000 the two teams entered the ground, had a kick around and lined up for the anthems. With some technical problems the anthems faded in and out but both anthems were sung with gusto. In reality it was a clear win here for the Stars and the Stripes as they really let rip. Then it was time for the haka. The Revo's gathered behind their flag and sat steely eyed and impassive as Shane Leat, 16 year old Northlander Te Kopa Tipene-Thomas and Porirua's 18 year old Joe Baker-Thomas lead the hawks in a stirring haka. One Blackburn player wandered past me and said "Wish we had something like that, absolutely spine tingling". I know what he means and the feeling it gives you to participate is something else as you feel the unity, pride and passion with your team. The first quarter saw a lot of the ball in the Hawks' hands but not much scoreboard pressure amounting. The US hit bodies hard and often that split second late but for their efforts in regaining the ball they then often spent that split second too long with the ball in hand and were tackled equally ferociously. Andy Vanica was continually looking to run in with ball in hand for the Revo's whilst Ben Carpenter was all over the place. In the hustle of the first quarter when everyone is still running on adrenalin a lot of possession was kicked away particularly by the Hawks who were not quite as tall as their opponents. Things changed as the Hawks started to spot up their teammates but in the first quarter Saleh Tyebjee was defending well for the Revo's. Eventually big Chris Mundell kicked long into the square to a pack from the hff and Brendan Clark had the ball nearly fall into his hand out the back where he dribbled the first goal through. As far as game sense the Kiwis walled up their forward line every time the Revo's tried to come out intercepting often and then counter attacking. Every time a player went to a contest they knew that they had 360 options for getting out, often popping the ball back to a player in space and traveling at speed. Will Gregson was very busy in this quarter leading to a snap from Waikato's Matt Van Wijk which resulted in a minor score. Michael Gregson was also playing well with some pinpoint passing. Big St Kilda International Rookie Joe Baker-Thomas took a strong grab forward but this was another point to the Hawks. Former Hawthorn International rookie Ben Miller was giving great run off the half back flank, driving the Hawks forward again leading to the 192 cm Tim Morton marking. Another point to the Kiwis! Meanwhile despite the great work of Michael Boyce in defence for the Hawks throughout the quarter the Revo's went forward with a good grab on the lead from Brent Fischer. He turned and put it long into the pocket where the 198cm Bryan Dragus marked strongly. Showing plenty of skill he went back and slotted the goal and the first points scored against the Kiwis in the tournament. The 2nd quarter began with Sam McKenzie who marked well before centering the ball for Tim Morton. Morton slotted the set shot. Ben Miller had moved into the midfield and was really starting to take the game by the scruff of the neck. Morton again took a strong grab in the pocket. He tried to square up the ball but it was intercepted by the US. A strong tackle saw an incorrect disposal mopped up by the Kiwis playing to advantage with a soccer goal to Baker-Thomas. His 2nd came after he marked on the lead and split the goals minutes later. Kiwi small forward Kyle Smith then snapped for a point whilst Te Kopa Tipene-Thomas showed a great step before also kicking a point from half forward. The ball went forward next to Baker-Thomas who hand passed off to The busy Smith who kicked the Kiwi's third for the quarter. 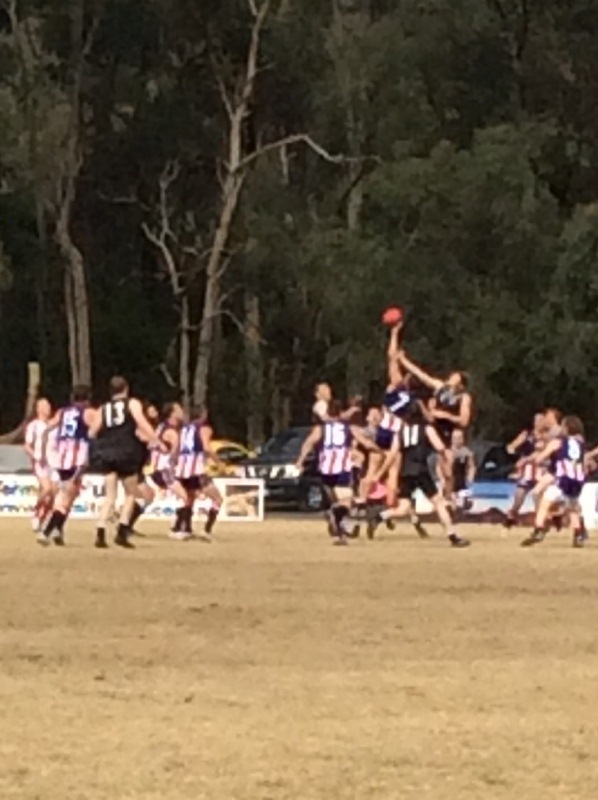 The pressure for the Revo's was unrelenting as David Rattenbury's long kick was touched through on the line. Despite the scoring so far being all done by New Zealand the endeavor of the US was unrelenting. Christian Merritt and Carpenter continued to run hard every time they had the opportunity, Tyejbee was attempting to be a one man wall in defence with his intercept marking. 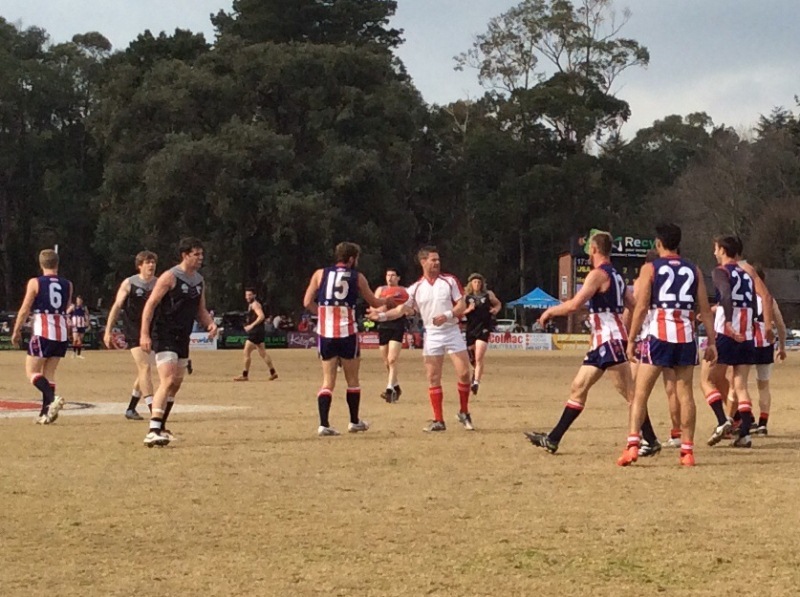 The second quarter ended with a free kick to James Roughan who was held without the ball. 30 meters out and dead in front he coolly slotted the goal. 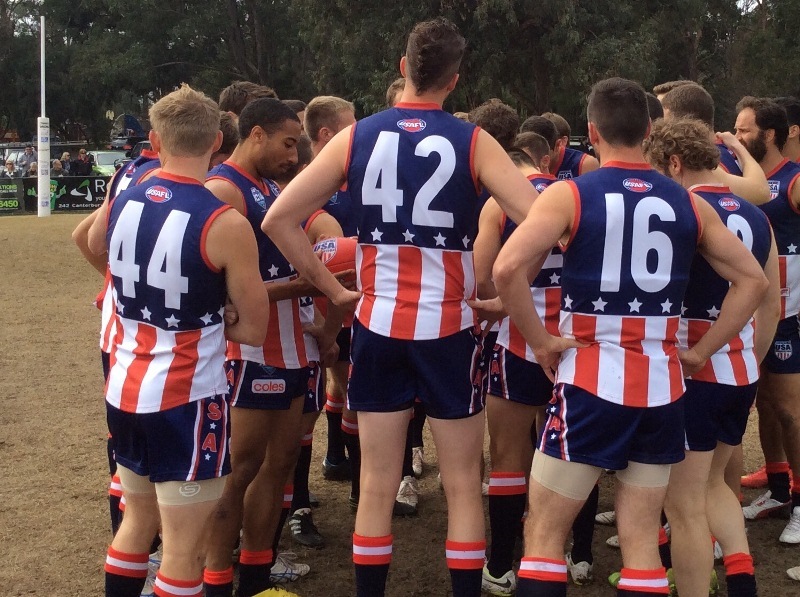 Half time saw the score at 6.7 (43) – 1.0 (6). 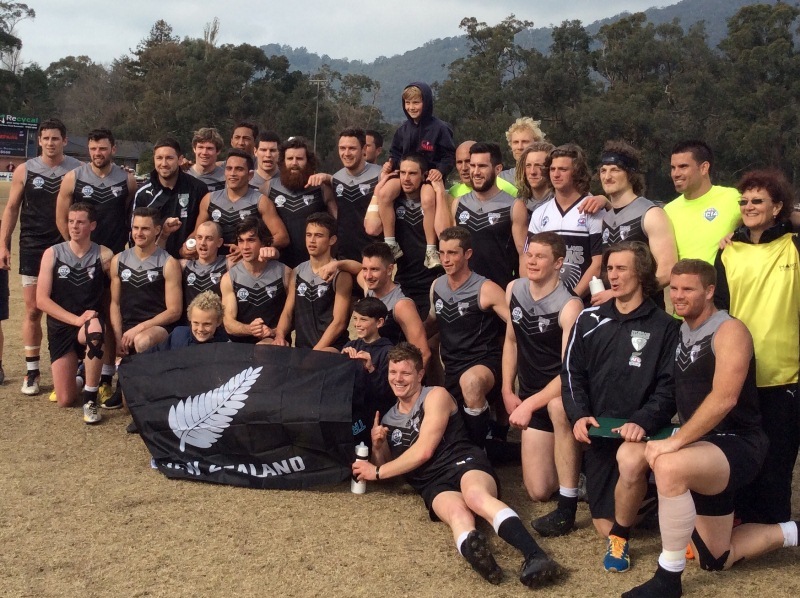 The third quarter saw the running game of the New Zealand Hawks from all over the field evident. Big Cantabrian Jared Court was stepping through all sorts of contested situations and young Te Kopa Tipene-Thomas showed some real speed and good evasive skills. The Kiwis weren't having it all their way with Stephen Fashant giving great drive through the midfield with Dragus again looking dangerous before a strong intercept mark by the ever dangerous Kiwi captain Andrew Howison. The kick out from defence was marked by Levesque who kicked a fine set shot from deep in the 50 metre circle, and from a 45 degree angle. Baker-Thomas and McKenzie were again threatening up forward for NZ. A rushed point eventuated. Nic Fisher twice drove the Hawks forward but no score resulted. 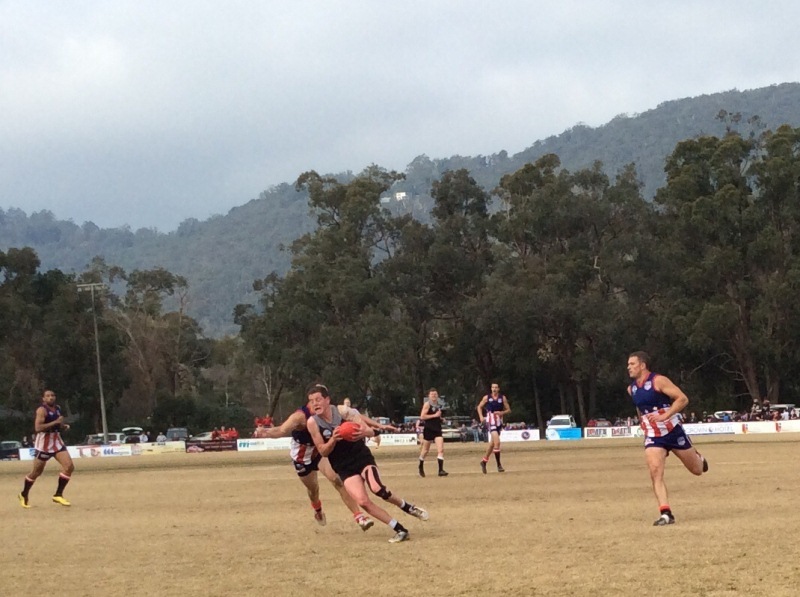 Former Hawks captain Michael Gregson found the ball taking a shot from the flank with a point resulting. Finally Sam McKenzie took control for the Hawks, kicking two goals in the quarter, including a set shot after a strong pack mark. 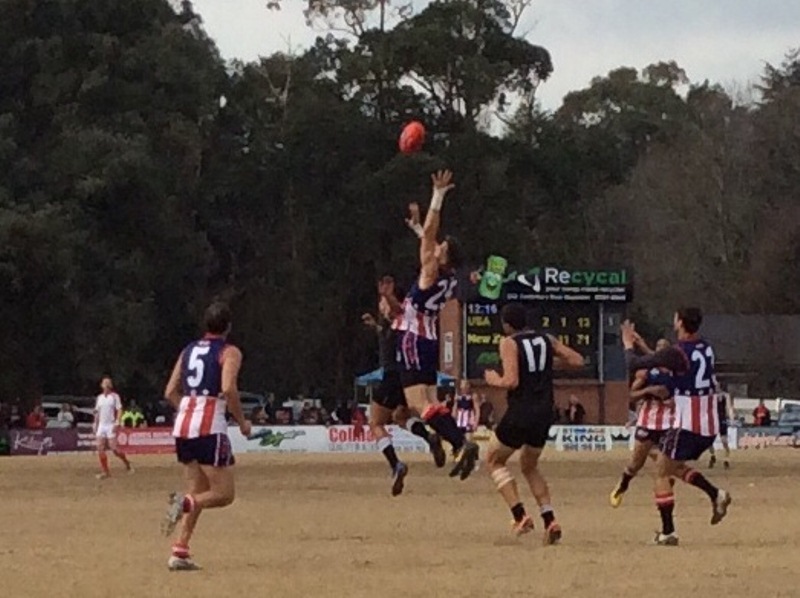 Three quarter time saw the score at 8.9 (57) – 2.0 (12). The USA Revolution showed pride through the fourth quarter with the game well and truly gone. McGettigan, Carpenter, Lehane and Fashant continued to provide run but the move of Baker-Thomas to defence saw him clunk three huge marks to close these intrusions down. The US scored a point but soon after lost running machine Andy Vanica to what looked to be a shoulder injury. For the Hawks Rattenbury, Court, Miller and Fisher were very busy. 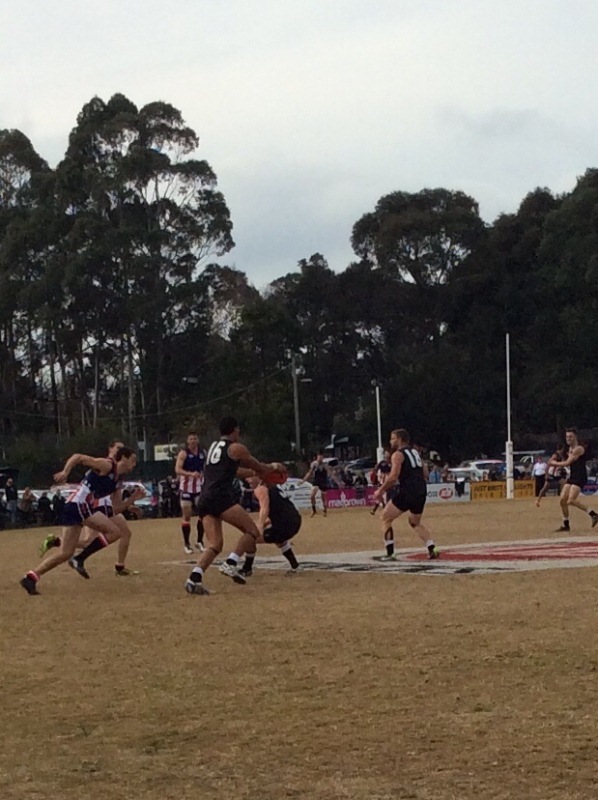 Justin Clark kicked two goals one from a mark and the other dribbled through. Mundell took a strong grab but his shot was touched through on the line. 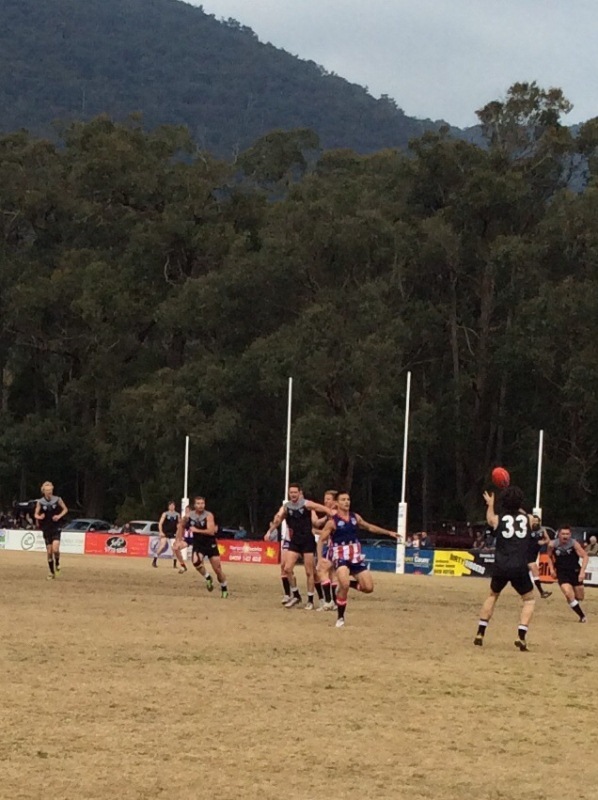 The final score for the game was a snap from Fisher in the pocket which resulted in a point. The USA had 10 players in their squad turning 30 this year or already there. The Hawks on the other hand had none. 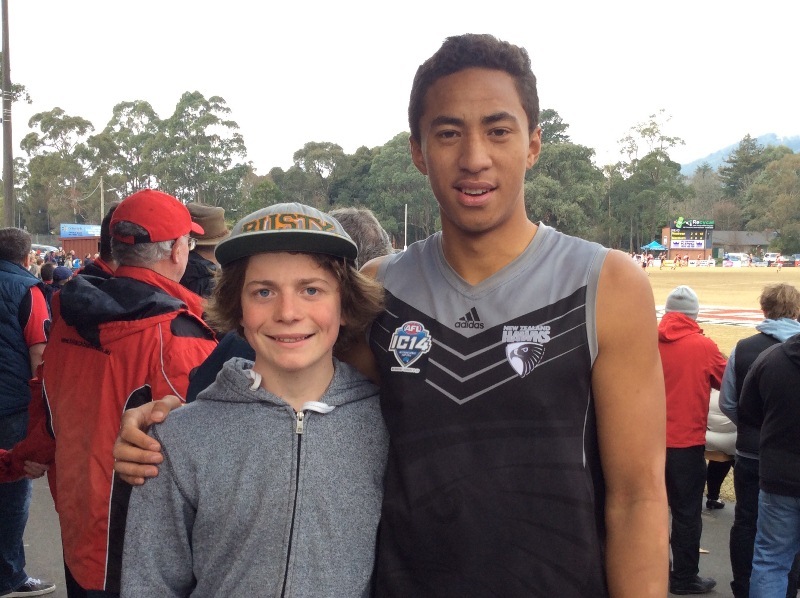 Speaking with AFLNZ Chief Executive Rob Vanstam afterward he said the NZ team had actually left home a number of very talented teenagers including Hawks international rookie Siope Ngata, who simply couldn't have their final year of schooling interrupted by attending the Cup. Given what is happening it seems that those nations with established junior programs such as NZ, PNG, South Africa and possibly Nauru, Fiji, Tonga and Canada with the Gaelic converts from Ireland may begin to open up a large gap on the opposing nations. Every now and then a particular group of players in a country will come through and buck this trend but it will be a rarity rather than a regular occurrence. There was no revolution to the world footy order in Montrose today!